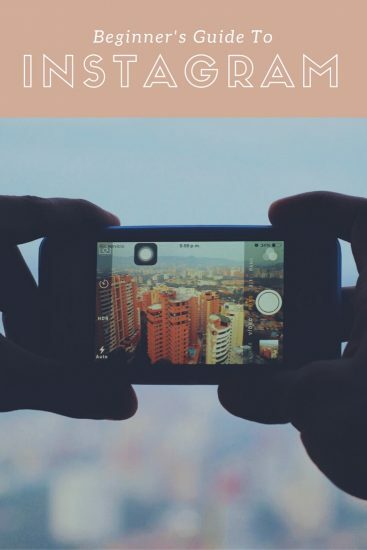 Today we wanted to provide you with a comprehensive beginner’s guide to one of the rising stars of the social media world; Instagram. Instagram is an online mobile photo and video sharing channel that allows you to create and share memories with your followers via your smartphone. It’s a fairly new social network, having only been around for just over five years, yet it’s potential was recognised as early as 2012 when Facebook bought the network for $1 billion. Since then the network has grown and expanded exponentially. With more users than Twitter and it’s only focus on visual content, it has become one of the go-o social media tools for individuals, creatives and businesses alike. To set up an Instagram profile you will first need to download the Instagram app from either the Apple Store or Google Play. Please be aware that Instagram will only work on a smartphone. To view your profile click on the icon of a person. Your profile has two major aspects; your profile image and your bio section. There are various directions you can take with your profile picture; for example choosing to use an image of yourself or your business logo. Regardless of what you choose to do, you must ensure that the size is optimised for Instagram which must be at least 110 x 110 pixels. Your bio is equally important when it comes to being discovered online. Include keywords in your bio that will help you get targeted followers related to your niche. For example; “London wedding photographer” or “newborn photographer based in Edinburgh”. Make sure it is consistent with your other social media profiles such as Twitter, Facebook and Pinterest to give a united feel. Unlike your Twitter bio section, hashtags are not clickable in Instagram. Don’t include your website URL in the bio section as it won’t be clickable and will take up valuable character space. Instead use the dedicated website feed. Like many popular social media networks there is a language that goes with it. Here is a little glossary to make sure you understand. Feed: This refers to your photo gallery where the collection of images you have posted are displayed. Comment: This is when someone leaves a thought or starts a discussion on a particular post. This is a very popular way of connecting with other people in the Instagram community. Like: Much like on Facebook and Twitter, a “like” is when someone appreciates what you have posted by clicking the heart icon at the bottom of the image. Hashtag (#): Any word or phrase preceded by the “#” symbol are called hashtags. Filters: This refers to the digital overlays that users can add to their photos to edit the exposure, colour balance and contrast. There are currently 27 filters that can be used, although more are being added all the time. Users can also choose the manually edit their own photos. Lighter, brighter images generate 24% more likes than dark images. Images that are more blue generate 24% more likes than images that are more red. Images with a single dominant colour get 17% more likes than images with multiple dominant colours. The Instagram app does not support a flash function, which you might need or want from time to time. It will not save an unaltered image on your phone allowing you to edit and add filters after the fact. Filters are what made Instagram famous and with the right filter you can turn a fairly ordinary photo into something engaging. However make sure you stick to using only a few so you keep your Instagram feed consistent. Another way of gaining new followers and increase your reach on Instagram is by connecting your account to your other social profiles. You can share any photo or image that you share on your Instagram account via your Facebook, Twitter, Tumblr or Flickr accounts. Sharing your content on multiple social networks will show your followers that you are on Instagram increasing the chances of them following you on Instagram as well. Give sneak peeks. Building curiosity around your business or event is always going to attract viewers. Behind-the-scenes. Whether it is in the office or a look at how your products look in reality.